After my visit to 2304 Rain last week I was in the mood for a sunnier destination next. I saw a picture taken at Black Kite and decided to hop over to have a look for myself. 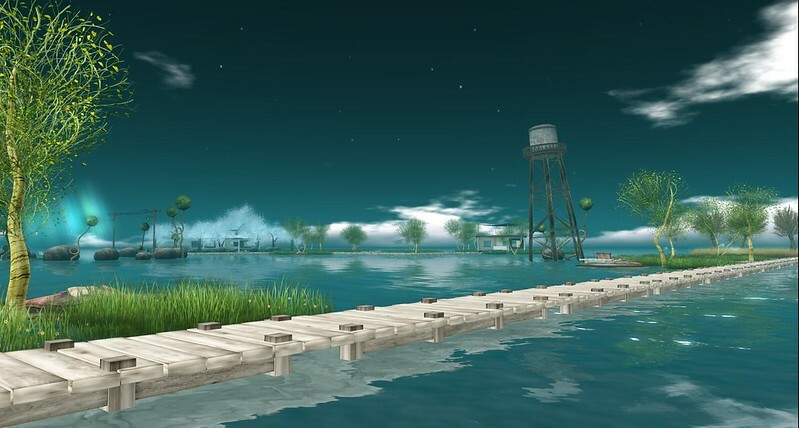 I could keep on my wellies, because Black Kite is another flooded sim. However, maybe walking on bare feet is a better option, because the place breathes the atmosphere of a tropical beach. 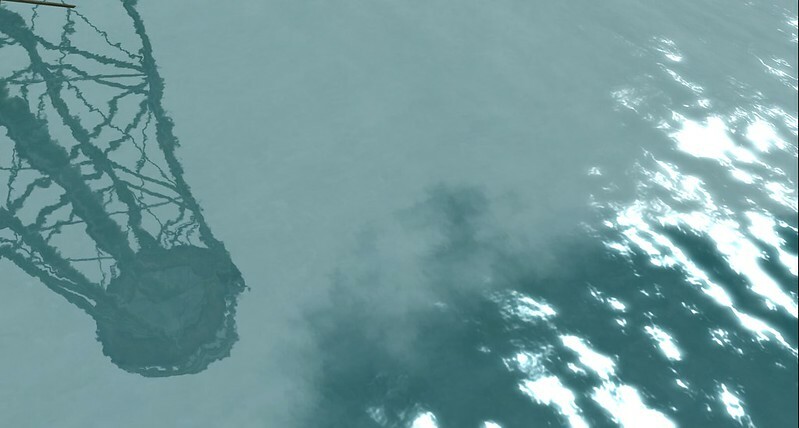 Which is quite an achievement if you realise that there's not one palm tree or sand beach on the whole sim. 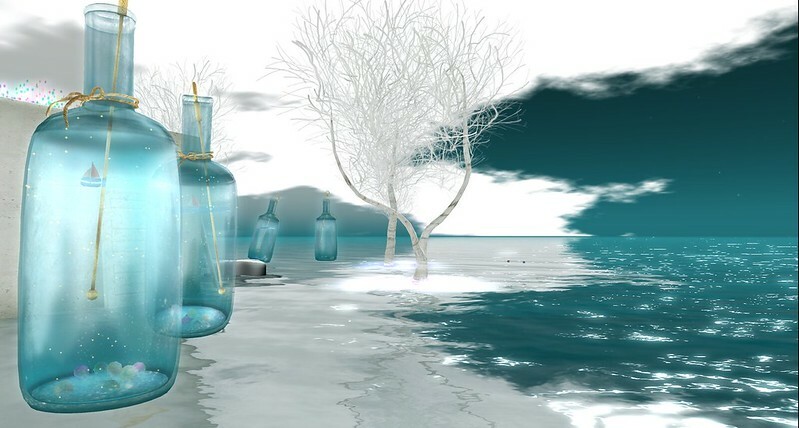 I love the clear design of Black Kite and the well chosen objects that decorate the landscape. It is a nice mixture of realistic buildings and not-possible-in-real-life objects, like fluorescent plants, giant bottles or seat bubbles. 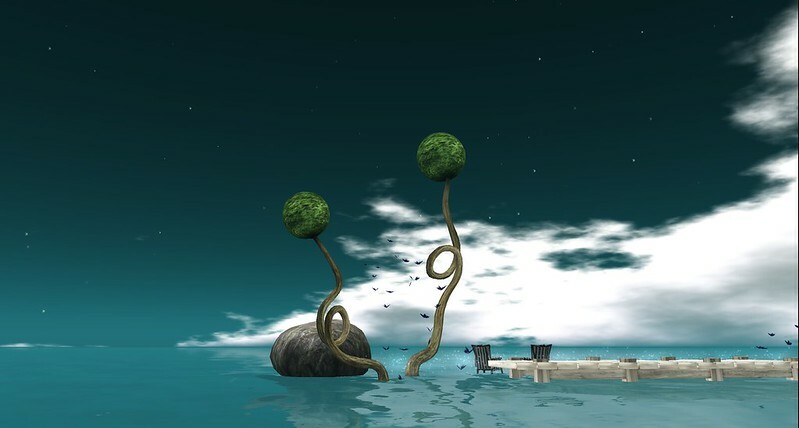 The whole makes the sim a haven of tranquility. Photographers are explicitly invited by the owner to use the sim for their work. It's possible to rez own objects (auto return in 30 minutes) and the place is scattered with objects to sit on. The water and sky with the well chosen buildings make a great background indeed. 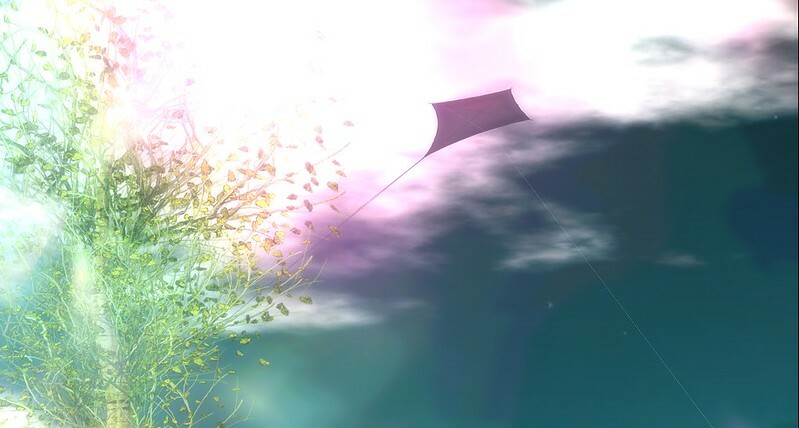 And yes, the kite from the sim's name is there too. It only doesn't look black when you see it through a bubble.